I didn’t really plan this being the last McCartney May post, but it worked out well since Press is one of his later solo releases. I hope y’all enjoyed this last month of Paul McCartney posts as I’m sure we’ll be featuring more artists like this soon! “Press” is a song by Paul McCartney. It was released as a lead single from his sixth studio solo album, Press to Play, being McCartney’s thirty-seventh single. The single features the non-album track, “It’s Not True” as the B-side, which was also released as a bonus track on compact disc release of the album. Though hitting the Top 30 in both the US and the UK, “Press” marked the beginning of a downturn of McCartney’s fortunes on the singles charts, as it was the first time since Back to the Egg that a lead single from a McCartney album failed to hit the Top 20 in the US/UK. “Spies Like Us” is the title song to the 1985 Warner Bros. motion picture of the same name, starring Chevy Chase, Dan Aykroyd, and Donna Dixon. It was written and performed by Paul McCartney, and was a top-ten hit in the United States in early 1986, reaching No. 7 on the singles chart. Genesis are an English rock band formed in Godalming, Surrey in 1967, with Peter Gabriel, Tony Banks, Mike Rutherford, Anthony Phillips and Chris Stewart as founding members. The band has had numerous line-ups throughout its history, of which eleven musicians became full time members. Its most recent formation comprised two founding members–keyboardist Tony Banks and bassist/guitarist Mike Rutherford–and drummer/singer Phil Collins, who joined in 1970. Genesis are one of the best selling music artists of all time with approximately 130 million records sold worldwide. They were inducted into the Rock and Roll Hall of Fame in 2010. Formed by five pupils at Charterhouse School, Genesis were initially regarded as a “pop experiment” as evident by their debut album, From Genesis to Revelation (1969). The band’s name was omitted from the sleeve, because Decca had recently discovered that an obscure American act was also calling itself Genesis and asked the band to consider changing its name to avoid confusion, which King declined. The American “Genesis” in question was likely a Los Angeles based group that released In The Beginning on the Mercury label in 1967. 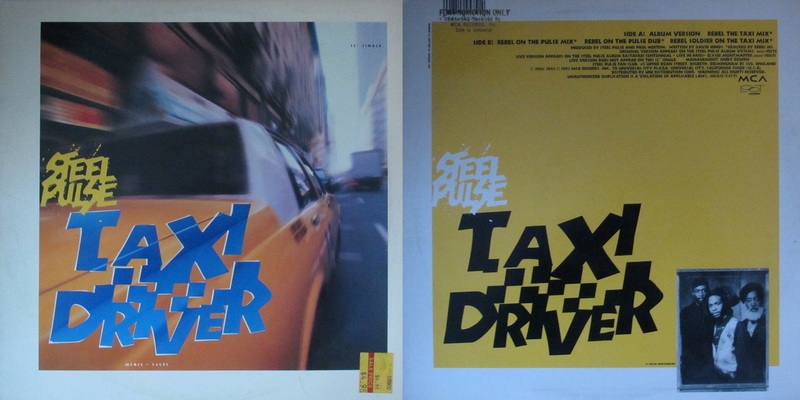 Steel Pulse are a roots reggae musical band, from the Handsworth area of Birmingham, England. The group originally formed at Handsworth Wood Boys School, composed of David Hinds (lead vocals, guitar), Basil Gabbidon (lead guitar, vocals), and Ronald McQueen (bass). Steel Pulse were the first non-Jamaican act to win the Grammy Award for Best Reggae Album. The last Phil Friday post! Hope you’ve enjoyed working through all the Phils in my collection! “Sussudio” is a song by Phil Collins, released as a single in February 1985. The song entered frequent rotation on MTV in May, and by 6 July, reached number one on their respective US Billboard charts. The most notable cover of the Supremes’ You Can’t Hurry Love was released in late 1982 as a single by Phil Collins from his second solo album. Collins’s version reached number-one on the UK Singles Chart, and reached number 10 in the United States. Although Collins had previously done covers as album tracks, “You Can’t Hurry Love” was the first cover he released as a single.